Life in Villa Garcia is changing as a result of our many graduates. Our younger students are seeing a new vision of continuing education, jobs, and a life that will take them out of desperate poverty. The educational sponsorship program has had over 80 university graduates since our beginning in 2003. The graduates have a wide variety of disciplines. We have teachers, accountants, social workers, engineers, doctors, nurses, computer professionals, criminologists, veterinarians, counselors, etc. 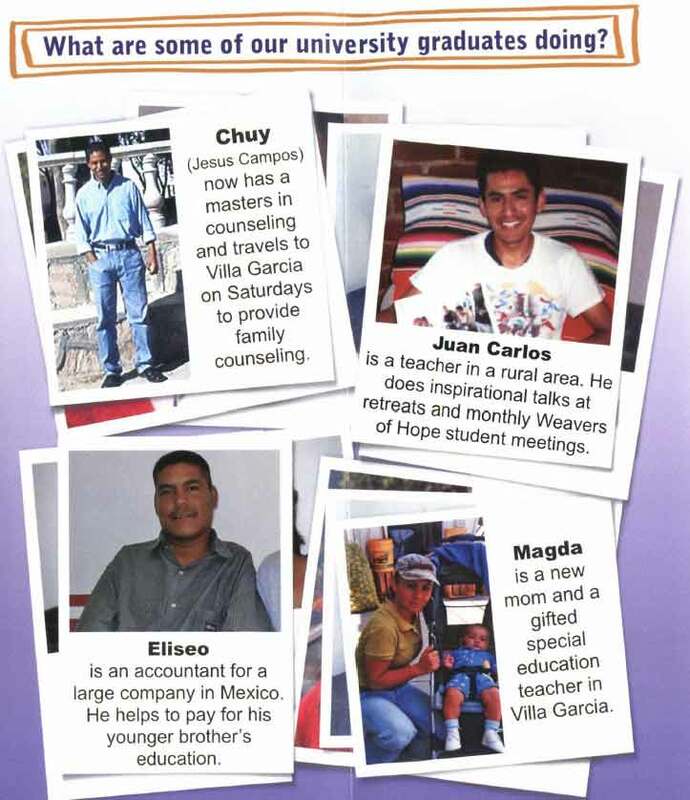 Our graduates are finding decent jobs in Mexico, helping their own families, sponsoring current students in the program, giving presentations at our monthly student meetings, and providing services in the village free of charge. They are truly becoming community leaders.